Karamba Casino is an online gambling site which dedicates itself to casino games and scratchcards. It was founded in 2005, registered in Malta and operated by Aspire Global International Limited. The online casino adheres to a host of regulating bodies, including the Malta Gaming Authority and the UK Gambling Commission. Karamba is a dedicated online casino, there’s no sportsbook or bingo sections on the site. The casino site specifically targets casino players and offers a huge range of games, from absolute classics right through to modern twists and innovations. There really is something for everyone at Karamba. At onlinecasino.ie, we’ve reviewed a number of casinos to help you decide which ones you want to sign up, register and deposit on. Our Karamba Casino review will hopefully provide you an insight into one of the most dedicated casino sites available online at the moment. 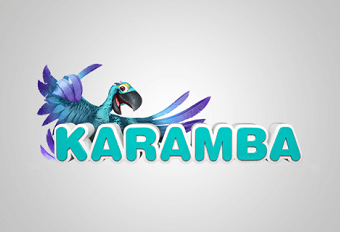 Karamba’s game selection is one that many other casino operators look and envy at, such is the vast number and quality of the games available, with many games offered by leading providers, including Microgaming, NetEnt, Neogames and Quickspin. With so many casino games available, you’d think that finding one would be a difficult and arduous task, but that couldn’t be further from the truth. Karamba have an interactive menu at the top of their homepage, outlining the game categories. Finding the new games on the site is easy, as these can all be found under the New Games header, while Karamba include some of their most popular games under the Featured Games tab. For die-hard fans of a particular game, whether its slots or a table game like roulette or blackjack, these can be found under the Recent Games header, where players can easily navigate their way to finding quickly. Like many online casinos, slots are an essential feature of Karamba Casino. These are split into two categories alongside the others at the top of the homepage, with one specific to video slots, while the other is targeting classic casino slot games. The video slots are mostly five-reeled slot games with multiple bonus features, while the classics are mostly three-reeled. Karamba also hosts a number of exclusive games in their slot collection, including Fu Er Dai, Mighty Sphinx, and Scruffy Duck. All the exclusives including high definition and 3-D graphics. Karamba Casino also hosts one of the largest virtual scratchcard selections in the online casino market. There’s also plenty for Keno players. There’s a live casino, which incorporates a wide variety of classic casino games, including variations of roulette, blackjack and baccarat. It’s also available for all levels of player, both new and old, as well as type of gambler, from casual player to high-roller. With the exception of live casino games, all games are available to play in demo mode so you can familiarise yourself with a slots paytable, learn the rules of a new casino game or just play as a leisure activity. Karamba Casino offers a wide range of promotions to suit all types of player who visit the site. When joining the site, players can take advantage of a welcome bonus which doubles first deposits up to £200 as well as a giveaway of 100 free spins. After you’ve made a first deposit at the casino and claimed your welcome bonus, you’ll be automatically enrolled into the loyalty scheme where you can earn bonus points when playing the games on the site. You can then climb the VIP ladder and on each rung, you’ll unlock rewards and gain access to exclusive offers. There is also a monthly cashback scheme where you can get your money back based on your losses. There are also plenty of one-off promotions at Karamba, including seasonal specials, competitions related to specific games and prize giveaways. Prizes are often bonuses, free spins and cash prizes up to £100,000. As with all online casinos, promotions and deposit bonuses are subject to terms and conditions, so it’s very important to read these before entering into one. Knowing the limitations and wagering requirements prior to playing will ensure that you’ll receive the full benefit of the offer and that you won’t be met by any surprises in the future. Players can fund their Karamba accounts using the usual methods using credit and debit cards as well as Skrill and NETELLER. These aren’t the only e-wallet payment options available though, as players can also deposit using Entropay, EcoPayz and paysafecard. Karamba is also kept safe by a state-of-the-art SSL encryption code, which protects all personal and financial data. This gives peace of mind to all players who are depositing and have deposited money at the casino, making sure it’s safe from attackers. Karamba understands the frustration that players can have when they can’t get in contact with their online casino. The casino is very easy to get in contact with and you can engage in a live chat by clicking on the blue parrot holding out a phone receiver icon on every page. There is also a customer support team available by email with the contact hours between 6:00 and 23:00. The casino is all about ensuring that the customer is everything and that is reflected in their motto and their values. Responsible gambling is also taken seriously at Karamba and there are a range of tools in place to ensure that all gameplay is done sensibly. There are self-exclusion options to limit playing. There is also information about spotting the signs of gambling addiction and links to organisations and charities that can provide support.